Draft: 2008, Milwaukee Brewers, CAth rd. 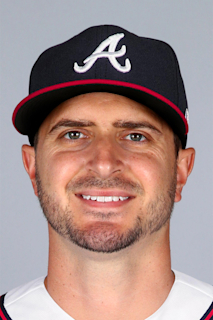 Jacob Odorizzi (pronounced oh-duh-RIZZ-ee)...Twitter: @JakeOdorizzi...graduated from Highland (IL) High School in 2008...went 14-0 during his senior year, allowing just 1 ER in 89.2 IP...recorded 146 strikeouts and walked six while leading the Bulldogs to the Class 3A state title...named Illinois Gatorade Player of the Year in 2008...named a Louisville Slugger Preseason All-American, a Rawlings/Perfect Game All-American and a member of USA Today's All-USA team...also played basketball and football as a wide receiver and safety...bypassed an opportunity to pitch at the University of Louisville to sign with the Brewers in 2008...he and wife, Carissa, were high school sweethearts who married in 2012...son, Rhett...in 2011, Jake had seats in rightfield to witness the Cardinals win Game 7 of the 2011 World Series over the Rangers... grew up a Cardinals fan in Highland, IL., about 30 miles east of St. Louis. Was Twins Opening Day starter March 29 at Baltimore, pitching 6.0 shutout innings with two hits allowed, two walks and seven strikeouts...first Opening Day start of career....Began the season going 3-2, 3.17 ERA (54.0 IP, 19 ER) in first 10 starts March 29-May 20...Set a season-high with 10 strikeouts May 20 vs. Milwaukee, fourth double-digit strikeout total of career...Went 26 consecutive starts to begin the season without recording an out in the seventh inning, setting a major league record; snapped the streak August 24 vs. Oakland, pitching 7.0 innings...Carried a no-hitter into the eighth inning September 12 vs. New York-AL, until having it broken up by Greg Bird (double)...tied a career-high in pitches thrown with 120...Recorded 800th career strikeout September 18 at Detroit, fanning Jim Adduci in the fourth inning...Made 30 starts for the third time in career...Threw 18.7 pitches-per-inning, the most in baseball...Finished with a strikeout-per-9.0 innings pitched ratio of 8.87, the second highest of career (9.32 - 2014)...Finished with 32 starts; along with Kyle Gibson (32) and José Berríos (32), they became the first trio of Twins with 30-plus starts in the same season since 2007 (Johan Santana - 33, Carlos Silva - 33, and Boof Bonser - 30)...Ranked tied for first on Twins staff in starts (32), and third in innings pitched (164.1) and strikeouts (162). Was Tampa Bay's number two starter to begin the season ... Was removed after one pitch in the 2nd inning April 15 and was placed on the 10-day DL after the game ... Missed 14 games (April 16-30) with a left hamstring strain and 13 games (July 25-Aug 8) with a lower back strain ... Carried a no-hitter for 6.1 innings September 5 vs. Minnesota, broke up by Joe Mauer's single that bounced off second base ... Went 3-1, 1.03 ERA (26.1 IP, 3 ER) in five September starts...third lowest ERA in the AL ... Started 28 games for the Rays despite two stints on the disabled list; was his fourth straight year of at least 28 starts ... Allowed a career-high 30 HR, the sixth time in Rays history a pitcher allowed 30 HR-or-more ... Allowed 80 runs, including 54 scoring via home run (67.5 pct.) ... His 18.3 pitches-per-inning ranked fifth-highest in baseball and his 32.3 groundball pct. was the second-lowest behind Toronto's Marco Estrada (30.7) ... Allowed 14 unearned runs, third-most in the AL behind Rick Porcello (20) and Sonny Gray (15) ... Acquired by Minnesota via trade with Tampa Bay on February 17, in exchange for minor league infielder Jermaine Palacios. Went 10-6 with a 3.69 ERA, the only member of the Rays rotation to post a winning record…established career highs with 33 starts, 187.2 IP and 29 HR allowed...After the All-Star break, went 7-1 with a 2.71 ERA (83-IP, 25-ER) in 14 starts…only two other pitchers in the majors (min. 50 IP) could match his combination of winning pct. (.875) and ERA in the second half: CLE Corey Kluber (9-1, 2.52) and CHC Jon Lester (10-1, 1.76)…ranked 6th in the AL in ERA and 3rd in winning pct. after the break…11 of his 14 starts over that span were quality starts…in the first half, went 3-5 with a 4.47 ERA (104.2-IP, 52-ER) in 19 starts and only 6 quality starts...Had 17 no-decisions, three more than any other starter…tied CWS Jose Quintana in 2013 for the most no-decisions by an AL starter since Baseball Reference data is available (1913)…and only three NL starters have had more: PIT Bert Blyleven (20) in 1979, SD Andy Hawkins (18) in 1986 and LAD Odalis Pérez (18) in 2004…Odorizzi had 13 no-decisions when allowing 2 ER or fewer, a mark reached by only one other pitcher since 1913: LAD Clayton Kershaw (14) in 2009...Averaged 17.6 pitches per inning, most in the AL and 2nd in the majors to ARI Robbie Ray (18.0)…pitched into the 7th inning in only 6 of his 33 starts, after 15 of 28 starts in 2015...Had six innings in which he allowed at least 4 runs, most by a Ray since Jeremy Hellickson (7) in 2013…only one of those frames occurred after the All-Star break…in 2015, had only one such inning in 28 starts...Was winless (0-2) in his first 8 starts to begin the season, the longest winless streak to begin a season by a Rays starter since 2007, when Jason Hammel went 0-4 through 8 starts and Edwin Jackson went 0-8 through 13 starts…earned his first win on May 18 at TOR...On May 24 at MIA, recorded his first career hit, a RBI single off Tom Koehler to give himself a 1-0 lead…earned a 4-3 victory, throwing 5 scoreless innings…became the fourth pitcher in Rays history with the game-winning RBI and a win in the same game, joining Nathan Karns (July 21, 2015 at PHI), Alex Cobb (July 23, 2014 at STL) and James Shields (May 22, 2011 at FLA)...On May 29 vs. NYY, retired his first 16 BF, tied for the 3rd-longest perfect game bid in club history…the only Rays pitchers to go longer were Chris Archer on July 29, 2015 vs. DET (19 BF) and Matt Garza on April 30, 2009 vs. BOS (18)…first base runner was Dustin Ackley, who reached via E6 and was erased by an inningending GIDP…had the longest no-hit bid of his career (6.1 IP), broken up by Starlin Castro's goahead, 2-run homer in the 7th as he suffered a 2-1 loss...Led the AL with 5 starts in which he yielded 2 hits or fewer…3 of those came consecutively from May 18-29, tying the longest such streak in club history but the first to do it within the same season (also Matt Moore, Sep 29, 2012- April 10, 2013)…apart from Odorizzi and Moore, only five other AL pitchers since Baseball Reference data is available (1913) have made 3 consecutive starts of at least 5 IP and 2 hits or fewer-and three are Hall of Famers…the list: DET Michael Fulmer (2016), SEA Randy Johnson (1997), TEX Nolan Ryan (1991), NYY Chuck Cary (1989) and SLB Eddie Plank (1916)...On June 14 vs. SEA, was ejected (by home plate umpire Jerry Meals) for the first time of his career following a 6th-inning walk of Leonys Martín…earned no decision in the 8-7 win...Won a career-high 6 straight decisions immediately following the All-Star break, spanning 8 starts (July 17-Aug 25)...Made 5 scoreless starts, including 3 straight from July 22-Aug 3, becoming the first Ray to do that within the same season and uninterrupted by a DL stint…the first 2 starts in that stretch made him the first pitcher in Rays history to record consecutive scoreless starts without a walk...Over the past three seasons (2014-16), his 16 scoreless starts are one shy of teammate Chris Archer for the AL lead, and are 7 more than James Shields, the pitcher he was traded for in December 2012...Had his best start of the season on July 22 at OAK, but earned no decision in the 1-0, 13-inning loss…went 8 scoreless, the longest scoreless start of his career and tying his longest start overall (April 13, 2015 at TOR)…threw 100 pitches including 19 in the 8th, when an E8 extended the inning by an additional 9 pitches...Tied the club record with 4 wins in August (10th time, last Alex Cobb, 2012)…was the fourth to do it without a loss, joining Cobb (2012), Wilson Álvarez (1999) and Jim Mecir (1998)…min. 25 IP, ranked among AL leaders in wins (tied for 3rd) and ERA (2.48, 7th). Made 28 starts, 2nd on the staff behind Chris Archer (34)...ranked among AL leaders with a 3.35 ERA (8th) and .231 opp avg. (tied CLE Corey Kluber for 9th)… Lowered his ERA from 4.13 in 2014 to 3.35 and reduced his hits and walks allowed...worked 1.1 more innings than 2014 despite making 3 fewer starts… His ERA was below 3.50 all season, one of only five to do that in the AL in 2015...also DET/TOR David Price, HOU Dallas Keuchel, OAK/HOU Scott Kazmir and OAK Sonny Gray…Became only the second qualifying starter in club history to post a sub-4.00 ERA and not win at least 10 games...joined Matt Garza, who was 8-12 with a 3.95 ERA in 2009…Left in the 5th inning of his start June 5 at SEA (a 1-0 Rays win) with a strained oblique and missed five weeks...joined fellow starters Alex Cobb, Drew Smyly and Matt Moore on the DL...returned on July 11 vs. HOU and combined with four others on a 3-hit, 3-0 win over Dallas Keuchel...had a 4-5 record and 2.47 ERA (5th in the AL) in 12 starts before the injury...posted a 5-4 record and 4.08 ERA in 16 starts after returning…Odorizzi (8th) and Chris Archer (6th) became just the third set of Rays teammates to finish in the top 10 in ERA, joining James Shields and Jeremy Hellickson in 2011 and David Price and Hellickson in 2012…He finished with a .500 mark overall (9-9), vs. the AL (8-8), NL (1-1), AL East (5-5), AL Central (2-2), AL West (1-1), NL East (1-1), pre-All-Star break (5-5) and post-All-Star break (4-4)…His run support of 3.77 runs per 9 IP was 5th lowest in the AL...the Rays scored 2 runs or fewer for him 14 times (including 9 of his first 10 starts) and scored only 16 runs in his 9 losses… Over the past two seasons combined, his 22 losses are the most in the AL for a pitcher with an ERA under 4.00 (3.74 in 2014-15 combined)…Thirty pct. of his pitches were changeups, most in the majors, according to FanGraphs...had 65 SO with the changeup, accounting for 43.3 pct. of his total strikeouts...borrowed his changeup grip from Alex Cobb in the 2013-14 offseason…Made 11 scoreless starts over the past two seasons, same number as CWS Chris Sale and SEA Felix Hernandez...James Shields, the pitcher he was traded for, has 7 in that span…Had 24 starts over the past two seasons in which he allowed one run or fewer, and in 10 of those he didn't earn a win...the only other AL pitchers with that many are TB Chris Archer (13), LAA Hector Santiago (11) and CWS Chris Sale (11)…With a 2-0 win April 8 vs. BAL and a 2-1 victory April 13 at TOR, he became only the third AL pitcher in the last 100 years to start the season by winning consecutive starts of 6-plus innings, 2 hits or fewer and 1 run or fewer, joining TEX Alexi Ogando in 2011 and KC Runelvys Hernandez in 2003...the only NL pitcher to ever fit that criteria was HOU Roger Clemens in 2004…Did not allow a homer until his seventh start, May 10 vs. TEX (Adrian Beltre)...closed out the season allowing 8 HR in September, one shy of the club record for the month…Had wins over DET David Price, HOU Dallas Keuchel and MIA Jose Fernandez, who were a combined 44-11 (.800) in their other starts...on July 28 vs. DET, handed David Price one of his 5 losses in Price's last start with the Tigers, 10-2...his line: 6 IP, 6 H, 1 R, 1 BB, 8 SO, 1 HR...in his final start on Oct 1 vs. MIA, handed Marlins ace Jose Fernandez his only loss of the season (6-1) in a 4-1 win...Jake's line: 7 IP, 4 H, 1 R, 0 ER, 2 BB, 7 SO. Led all major league rookies with 174 strikeouts, one shy of the club rookie record (175 by Matt Moore in 2012)...became the second Ray to lead major league rookies in strikeouts, joining TB Scott Kazmir, who also had 174 in 2005...His 9.32 SO/9 IP was 3rd best all-time among AL rookies, behind TEX Yu Darvish (10.40 in 2012) and CLE Herb Score (9.70 in 1955)...overall, finished 9th in the majors in SO/9 IP...Also led major league rookies in starts (31) and finished 2nd in innings pitched (168)...Named the club's Rookie of the Year by the Tampa Bay Chapter of the Baseball Writers' Association of America...received one third-place vote in the BBWAA voting for AL Rookie of the Year...Had 7 starts in which he didn't allow a run, tied with teammate Alex Cobb for 2nd most in the AL, behind MIN Kyle Gibson (8), and matching the most ever by an AL rookie (see chart)...His 13 losses led major league rookies and were the most ever by a Rays rookie...however, the Rays were shut out in 6 of his starts, tied with CIN Johnny Cueto and CHC/OAK Jeff Samardzija for most in the majors...With 11 wins, became the sixth Rays rookie with 10-plus wins in the last six years, most in the majors over that span...joined Matt Moore (11 in 2012), Jeremy Hellickson (13 in 2011), Wade Davis (12 in 2010), Jeff Niemann (13 in 2009) and David Price (10 in 2009)...Had 3 starts in which he pitched 6-plus innings and allowed only one hit, most in the majors and the most by a rookie since SF Matt Cain had 4 such games in 2006...two of those games resulted in combined one-hitters: Aug 30 vs. BOS (with Kirby Yates and Jeff Beliveau in a 7-0 win) and June 21 at HOU (with Yates and Brad Boxberger in an 8-0 win)...only hit allowed on June 21 was a 4th-inning ground ball off his foot by Jose Altuve...struck out 10 batters in that game and became the second pitcher in Rays history to record 10 SO or more and allow one hit or fewer in a game, joining RH Matt Garza, who did it in 2008 and 2009...became the first Ray to start two one-hitters in the same season...Had a 2.62 ERA (99.2-IP, 29-ER) in 17 home starts compared to a 6.32 ERA (68.1-IP, 44-ER) in 14 road starts, the largest home vs. road differential in the majors (min. 100 IP)...his road ERA ranked 2nd highest in club history among season qualifiers (min. 162 IP)...only Mark Hendrickson (6.53, 2005) was higher...ranked 2nd highest among major league starters in 2014 (min. 10 road starts)...only CLE/STL Justin Masterson (6.57) was higher...Earned his first major league win in his first start of the season, April 4 vs. TEX (8-1)...worked 6 shutout innings allowing only 3 singles...In his first 12 starts through June 5, went 2-6 with a 5.31 ERA (57.2-IP, 34-ER) and a 1.53 WHIP...in his last 19 starts, went 9-7 with a 3.51 ERA (110.1-IP, 43-ER) and 1.15 WHIP...His 0.65 groundball-to-flyball ratio was the 2nd lowest in the majors to SEA Chris Young (0.42)...only induced one GIDP all season, off the bat of David Ortiz on Aug 30 vs. BOS...Attempted base stealers went 4-for-10 against him (40 pct. ), 5th toughest to run on in the AL...also had a pair of pickoffs...Learned his changeup grip from Alex Cobb in the 2013-14 offseason...according to FanGraphs, 24.4 pct. of his pitches were changeups, 8th most in the AL...Had a career-high 11 SO in only 5 IP on May 9 vs. CLE, one shy of the rookie club record (Dan Wheeler, Sep 12, 1999 vs. OAK)...Twice faced 20-game winner STL Adam Wainwright, one of his favorite pitchers as a youngster, whom he'd seen pitch in person at Busch Stadium...Jake grew up a Cardinals fan in Highland, Ill., 30 minutes east of St. Louis...lost a 1-0 decision on June 10 at home, then beat him 7-2 on July 22 in St. Louis...in his first major league plate appearance, he had a game-tying RBI sac bunt off Wainwright-the first RBI by a Rays pitcher since 2012-and later added a walk...Saw his ERA jump over 4.00 in his last start of the season, an 11-3 loss on Sep 24 at BOS (3-IP, 7-H, 5-ER). Enters the 2014 season ranked as the No. 1 prospect in the Rays organization by Baseball America…moved up from No. 5 in the rankings one year prior... Split his first season in the Rays organization between Triple-A Durham and the majors…over five stints in the majors he pitched in 7 games (4 starts) and went 0-1 with 1 save and had a 3.94 ERA (29.2-IP, 13-ER)…was 0-1 with a 5.03 ERA (19.2-IP, 11-ER) as a starter and had a 1.80 ERA (10-IP, 2-ER) as a reliever…is still seeking his first major league win... Over his last 4 apps (2 starts) for the Rays spanning two tours, had a 1.04 ERA (17.1-IP, 2-ER)... Was on the active major league roster from May 20-29, June 11-14, June 18-19, Aug 29-30 and Sep 20 through season's end…after going 4-0 over his first 8 starts with the Bulls, was recalled for the first time on May 20 to make his Rays debut in Toronto…did not factor in the decision, giving up 3 runs in 5 IP in a 7-5 loss opposite 2012 NL Cy Young winner R.A. Dickey…his line: 5 IP, 5 H, 3 R/ER, 1 BB, 6 SO... At 23 years, 54 days became the youngest right-handed pitcher to start a game for the Rays since Edwin Jackson made his Rays debut on April 22, 2006 at TEX (22 years, 225 days)…was the first player born in the 1990s to play in a game for the Rays... Added to the roster on June 18 as part of MLB's 26th Man Rule and started Game 2 of the doubleheader at Fenway Park…allowed just 1 run in 5.2 IP but did not factor in the 3-1 loss…was optioned following the game... Recalled on Sep 20 and pitched that night vs. BAL, a 6-hour, 54-minute, 18-inning marathon the Rays eventually won, 5-4…he pitched 3.2 scoreless innings (11th-14th)... Pitched 3 scoreless innings and recorded his first career save on Sep 24 at NYY…marked his first pro save since April 11, 2010 with the Class-A Wisconsin Timber Rattlers (Brewers)... Made 22 starts for Durham and finished 3rd in the International League with 124 strikeouts, 2nd in the Rays system…also ranked among IL leaders in opp avg. (.225, 2nd) and ERA (3.33, 8th)... Helped the Bulls win the Governors' Cup by crafting a 0.50 ERA (18-IP, 1-ER) over 3 postseason starts…over his final 6 starts for Durham-including regular and postseason-maintained a 0.47 ERA (38-IP, 20-H, 2-ER, 1-HR, 8-BB, 46-SO)... On May 5 at Pawtucket (Red Sox), tossed 7 hitless innings, and three relievers followed to close out the second no-hitter in Durham's IL history in a 2-1 win…LH Frank De Los Santos (0.2-IP), RH Kirby Yates (1.0) and LH Jeff Beliveau (0.1) finished the job…it was the second time he was involved in a no-hitter-also Aug 24, 2010 with Class-A Wisconsin (Brewers). Saw his first action in the big leagues afterbeing selected to the major league roster onSept. 16...made two starts for the Royals, bothagainst the Indians...Made his major league debut on Sept. 23 vs. CLE...suffered the loss, totaling 5.1 IP, 6 H, 3 R/ER, 1 BB, 3 SO, 1 HR, 87 pitches, 55 strikes...held Cleveland scoreless until the sixth inning, when Asdrubal Cabrera delivered an RBI single and Carlos Santana followed with a two-run homer. Left the game trailing 3-1, and the Royals wenton to lose, 15-4...On Sept. 29 at CLE, earned no decision in a 7-6 victory...lasted only two IP and 65 pitches (2-H, 1-R/ER, 3-BB, 1-SO).Ê Named Pitcher of the Year for Triple-A Omaha despite opening the season with Double-A Northwest Arkansas...his 15 combined wins tied for third most in minor league baseball, and fell one shy of the overall lead...went a combined15-5 in the minors with a 3.03 ERA (145.1-IP, 49-ER) in 26 games, 25 starts...In seven starts for Northwest Arkansas, tallied 47 SO and 10 BB in 38 IP until a May 18 promotion to Omaha...won eight straight decisions from May 5-July 14, earning six of those victories forOmaha...On June 7 vs. Round Rock (Rangers), struck out 10 batters out of the bullpen to defeat major league veteran RH Roy Oswalt, 7-2...threw 6.2 IP in relief of starter Everett Teaford, who lasted two IP...Earned the starting assignment for the U.S. team in the Futures Game on July 8 at Kauffman Stadium...allowed a solo homer to Rangers prospect SS Jurickson Profar in one inning of work...earned no decision in the 17-5 U.S. victory...Entering the 2013 season was rated the No. 5 prospect in the Royals farm system by Baseball America...MLB.com ranked him the Rays No. 2 prospect behind Wil Myers. Jake opened his first campaign in the Kansas City system at Wilmington (A Advanced) before making 12 startsfor Double-A Northwest Arkansas to end the season ... Posted four double-digit strikeout games in his 15 starts with Wilmington, including whiffing a season-high13 in a 6.0-inning, 1-hitter on May 10 vs. Salem ... Was rated as the fourth-best prospect in the Royals organization by Baseball America entering the 2012 season. Named the Brewers 2010 Minor League Pitcher of the Year...named to the Midwest League Midseason All-Star Team...led the MWL with 10.07 SO/9 IP...acquired by the Royals on December 19 as part of a six-player trade, sending 2009 AL Cy Young winner Zack Greinke to the Brewers. Spent second professional season with Rookie Helena. Made professional debut with AZL Brewers. February 17, 2018 Tampa Bay Rays traded RHP Jake Odorizzi to Minnesota Twins for SS Jermaine Palacios. August 9, 2017 Tampa Bay Rays activated RHP Jake Odorizzi from the 10-day disabled list. August 4, 2017 Tampa Bay Rays sent RHP Jake Odorizzi on a rehab assignment to Charlotte Stone Crabs. July 26, 2017 Tampa Bay Rays placed RHP Jake Odorizzi on the 10-day disabled list retroactive to July 25, 2017. Lower back strain. May 1, 2017 Tampa Bay Rays activated RHP Jake Odorizzi. April 16, 2017 Tampa Bay Rays placed RHP Jake Odorizzi on the 10-day disabled list. Strained left hamstring. July 11, 2015 Tampa Bay Rays activated RHP Jake Odorizzi from the 15-day disabled list. July 1, 2015 Tampa Bay Rays sent RHP Jake Odorizzi on a rehab assignment to Charlotte Stone Crabs. October 12, 2013 Tampa Bay Rays activated RHP Jake Odorizzi. October 2, 2013 Tampa Bay Rays reassigned RHP Jake Odorizzi to the minor leagues. September 20, 2013 Tampa Bay Rays recalled Jake Odorizzi from Durham Bulls. August 30, 2013 Tampa Bay Rays optioned RHP Jake Odorizzi to Durham Bulls. August 30, 2013 Jake Odorizzi roster status changed by Durham Bulls. August 29, 2013 Tampa Bay Rays recalled Jake Odorizzi from Durham Bulls. June 19, 2013 Tampa Bay Rays optioned Jake Odorizzi to Durham Bulls. June 18, 2013 Tampa Bay Rays recalled Jake Odorizzi from Durham Bulls. June 14, 2013 Tampa Bay Rays optioned Jake Odorizzi to Durham Bulls. June 11, 2013 Tampa Bay Rays recalled Jake Odorizzi from Durham Bulls. May 29, 2013 Tampa Bay Rays optioned Jake Odorizzi to Durham Bulls. May 20, 2013 Tampa Bay Rays recalled Jake Odorizzi from Durham Bulls. March 12, 2013 Tampa Bay Rays optioned Jake Odorizzi to Durham Bulls. September 16, 2012 Kansas City Royals selected the contract of Jake Odorizzi from Omaha Storm Chasers. May 16, 2012 Jake Odorizzi assigned to Omaha Storm Chasers from Northwest Arkansas Naturals. January 25, 2012 Kansas City Royals invited non-roster RHP Jake Odorizzi to spring training. July 1, 2011 Jake Odorizzi assigned to Northwest Arkansas Naturals from Wilmington Blue Rocks. April 5, 2010 Jake Odorizzi assigned to Wisconsin Timber Rattlers from Helena Brewers. March 17, 2010 RHP Jake Odorizzi assigned to Milwaukee Brewers. June 20, 2009 Jake Odorizzi assigned to Helena Brewers from AZL Brewers.